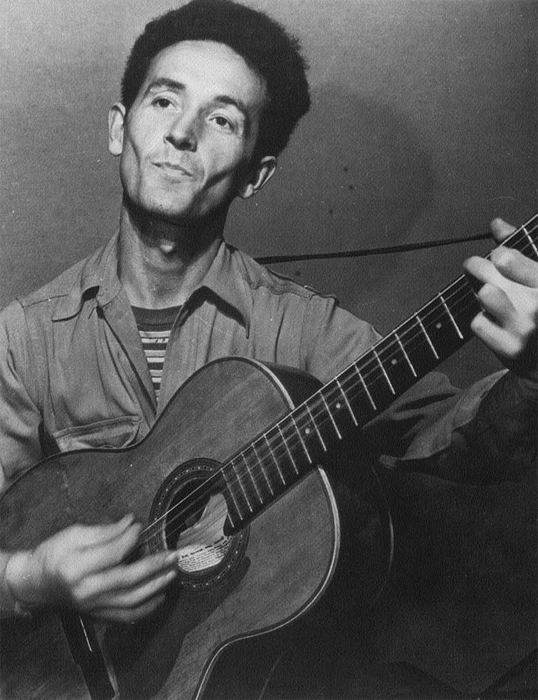 Woody Guthrie was born into a troubled life and family in Okemah, Oklahoma. From an early age, life was harsh and unsettled and the instability affected Guthrie in profound ways and probably was responsible for his lifelong wanderlust. Guthrie’s father, Charles, was, according to Guthrie, a member of the Ku Klux Klan and was personally involved in the 1911 lynching of Laura and L. D. Nelson. His mother, Nora, suffered from Huntington’s Disease, an inherited neurodegenerative disorder that eventually includes dementia among its late-stage symptoms. Nora is believed to be responsible for setting two house fires: the first killing her 7-year-old daughter, Clara, and the second severely burning her husband, Charles. After the second fire, Nora was committed to the Oklahoma House for the Insane where she died in 1930. Guthrie married his first wife at the age of 19, but soon headed out to California during the Dust Bowl to try to find work to support his family. He began writing songs about the plight of the midwesterners he joined in the labor camps out west. The wages were meager, the living conditions awful, and the work hard and back-breaking. In the late 1930’s, Guthrie finally broke into radio in California and was able to make a living to support his growing family (it appears he got back home just often enough to help create another child, and then was back out on the road again). In the 1940’s, Guthrie moved to New York and it was there where he became famous. “This Land is Your Land” was written during this period as a response to Irving Berlin’s “God Bless America,” which Guthrie believed was an elitist song that wasn’t realistic for and applicable to the common man in America. The original lyrics are quite different from the sanitized version I heard growing up, so it might interest you to see how a protest song somehow got co-opted by America and became a standard in pro-American music. Guthrie, no doubt, had he been able, would have written an anti-“This Land is Your Land” in response. It’s was also in the late-1940’s that Guthrie, already known for his fondness for alcohol, his general contrariness, his quick temper, and his scrappiness and eagerness for a fight, began to drink heavily. Guthrie’s behavior became increasingly erratic around the same time, with the singer either not showing up for performances or when he did show up, often not being able to remember all the lyrics or music. The memory loss was initially attributed to Guthrie’s heavy drinking, but it soon became clear during the early 1950’s that something else was wrong, as Guthrie began losing muscle coordination and he had trouble playing even basic melodies on his guitar. In 1952, Guthrie was diagnosed with Huntington’s Disease, which he had inherited from his mother. By 1956, Guthrie’s condition had deteriorated to the point where he required permanent care placement. 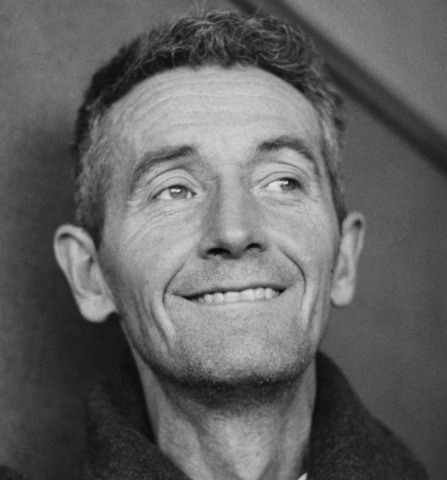 After 11 years of hospitalization, as everyone but his closest family disappeared from Guthrie’s life because of the toll that Huntington’s Disease exacted on his brain, making Guthrie almost impossible to be around, Woody Guthrie died in 1967. Guthrie married three times and had seven children. Two children died in car accidents. Two children from Guthrie’s first marriage developed Huntington’s Disease and both died at the age of 41. Guthrie’s three remaining children, of whom one is Arlo of “Alice’s Restaurant” fame, to date have not developed any symptoms of Huntington’s Disease.